John Richard Pilger (/ˈpɪldʒər/; born 9 October 1939) is an Australian journalist and BAFTA award-winning documentary film maker. He has been mainly based in the United Kingdom since 1962. Pilger is a strong critic of American, Australian and British foreign policy, which he considers to be driven by an imperialist agenda. Pilger has also criticised his native country's treatment of Indigenous Australians. He first drew international attention for his reports on the Cambodian genocide. His career as a documentary film maker began with The Quiet Mutiny (1970), made during one of his visits to Vietnam, and has continued with over fifty documentaries since then. Other works in this form include Year Zero (1979), about the aftermath of the Pol Pot regime in Cambodia, and Death of a Nation: The Timor Conspiracy (1993). Pilger's many documentary films on indigenous Australians include The Secret Country (1985) and Utopia (2013). In the British print media, Pilger worked at the Daily Mirror from 1963 to 1986, and wrote a regular column for the New Statesman magazine from 1991 to 2014. Pilger has won Britain's Journalist of the Year Award in 1967 and 1979. His documentaries have gained awards in Britain and worldwide, including multiple BAFTA honors. The practices of the mainstream media are a regular subject in Pilger's writing. Pilger was born and raised in Bondi, a suburb of Sydney, to Claude and Elsie Pilger. Graham (1932–2017), his brother, was a disabled rights activist who later advised the government of Gough Whitlam. Their father's ancestors were German and mother's were Irish, English and German; two maternal great-great-grandparents were Irish convicts transported to Australia. His mother was a teacher of French. Both brothers attended Sydney Boys High School, where John Pilger began a student newspaper, The Messenger. He later joined a four-year journalist trainee scheme with the Australian Consolidated Press. Beginning his career in 1958 as a copy boy with the Sydney Sun, Pilger later moved to the city's Daily Telegraph, where he was a reporter, sports writer and sub-editor. He also freelanced and worked for the Sydney Sunday Telegraph, the daily paper's sister title. After moving to Europe, he was for a year a freelance correspondent in Italy. Settling in London in 1962, working as a sub-editor, Pilger joined British United Press and then Reuters on its Middle-East desk. In 1963 he was recruited by the English Daily Mirror, again as a sub-editor. Later, he advanced to become a reporter, a feature writer, and Chief Foreign Correspondent for the title. While living and working in the United States for the Daily Mirror, on 5 June 1968 he witnessed the assassination of Robert F. Kennedy in Los Angeles during his presidential campaign. During the next twenty years, Pilger became the Daily Mirror's star reporter, particularly on social issues. He was a war correspondent in Vietnam, Cambodia, Bangladesh and Biafra. Nearly eighteen months after Robert Maxwell bought the Mirror (on 12 July 1984), Pilger was sacked by Richard Stott, the newspaper's editor, on 31 December 1985. With the actor David Swift, and the film makers Paul Watson and Charles Denton, Pilger formed Tempest Films in 1969. "We wanted a frontman with a mind of his own, rather like another James Cameron, with whom Richard [Marquand] had worked", Swift once said. "Paul thought John was very charismatic, as well as marketing extremely original, refreshingly radical ideas." The company was unable to gain commissions from either the BBC or ITV, but did manage to package potential projects. Pilger's career on television began on World in Action (Granada Television) in 1969, directed by Denton, for whom he made two documentaries broadcast in 1970 and 1971, the earliest of more than fifty in his career. The Quiet Mutiny (1970) was filmed at Camp Snuffy, presenting a character study of the common US soldier during the Vietnam War. It revealed the shifting morale and open rebellion of American troops. Pilger later described the film as "something of a scoop" – it was the first documentary to show the problems with morale among the drafted ranks of the US military. When I flew to New York and showed it to Mike Wallace, the star reporter of CBS' 60 Minutes, he agreed. "Real shame we can't show it here"", Pilger said in an interview with the New Statesman. He made additional documentaries about the United States involvement in Vietnam, including Vietnam: Still America's War (1974), Do You Remember Vietnam? (1978), and Vietnam: The Last Battle (1995). During his work with BBC's Midweek television series during 1972–73, Pilger completed five documentary reports, but only two were broadcast. Pilger was successful in gaining a regular television outlet at ATV. The Pilger half-hour documentary series was commissioned by Charles Denton, then a producer with ATV, for screening on the British ITV network. The series ran for five seasons from 1974 until 1977, at first running in the UK on Sunday afternoons after Weekend World. The theme song for the series was composed by Lynsey de Paul. Later it was scheduled in a weekday peak-time evening slot. The last series included "A Faraway Country" (September 1977) about dissidents in Czechoslovakia, then still part of the Communist Soviet bloc. Pilger and his team interviewed members of Charter 77 and other groups, clandestinely using domestic film equipment. In the documentary Pilger praises the dissidents' courage and commitment to freedom, and describes the communist totalitarianism as "fascism disguised as socialism". Pilger was later given an hour's slot, placed in the 9 pm slot before News at Ten, which gave him a high profile in Britain. Since ATV lost its franchise in 1981, he has continued to make documentaries for screening on ITV, initially for Central, and later via Carlton Television. In 1979, Pilger and two colleagues with whom he collaborated for many years, documentary film-maker David Munro and photographer Eric Piper, entered Cambodia in the wake of the overthrow of the Pol Pot regime. They made photographs and reports that were world exclusives. The first was published as a special issue of the Daily Mirror, which sold out. They also produced an ITV documentary, Year Zero: the Silent Death of Cambodia, which brought to people's living rooms the suffering of the Khmer people. During the filming of Cambodia Year One, the team were warned that Pilger was on a Khmer Rouge 'death list.' In one incident, they narrowly escaped an ambush. Following the showing of Year Zero, some $45 million was raised, unsolicited, in mostly small donations, including almost £4 million raised by schoolchildren in the UK. This funded the first substantial relief to Cambodia, including the shipment of life-saving drugs such as penicillin, and clothing to replace the black uniforms people had been forced to wear. According to Brian Walker, director of Oxfam, "a solidarity and compassion surged across our nation" from the broadcast of Year Zero. A rather interesting quality of the articles was their concentration on Nazism and the holocaust. Pilger called Pol Pot 'an Asian Hitler' — and said he was even worse than Hitler . . . Again and again Pilger compared the Khmer Rouge to the Nazis. Their Marxist-Leninist ideology was not even mentioned in the Mirror, except to say they were inspired by the Red Guards. Their intellectual origins were described as 'anarchist' rather than Communist". Ben Kiernan, in his review of Shawcross's book, notes that Pilger did compare Pol Pot's Khmer Rouge to Stalin's terror, as well as to Mao's Red Guards. Kiernan notes instances where other writers' comparisons of Pol Pot to Hitler or the Vietnamese to the Nazis are either accepted by Shawcross in his account, or not mentioned. Shawcross wrote in The Quality of Mercy that "Pilger's reports underwrote almost everything that refugees along the Thai border had been saying about the cruelty of Khmer Rouge rule since 1975, and that had already appeared in the books by the Readers Digest and François Ponchaud. In Heroes, Pilger disputes François Ponchaud and Shawcross's account of Vietnamese atrocities during the Vietnamese invasion and near famine as being "unsubstantiated". Ponchaud had interviewed members of anti-communist groups living in the Thai refugee border camps. According to Pilger, "At the very least the effect of Shawcross's 'exposé'" of Cambodian's treatment at the hands of the Vietnamese "was to blur the difference between Cambodia under Pol Pot and Cambodia liberated by the Vietnamese: in truth, a difference of night and day". In his book, Shawcross himself doubted that anyone had died of starvation. Two men who claimed that a television documentary accused them of being SAS members who trained Pol Pot's Khmer Rouge to lay mines, accepted "very substantial" libel damages in the High Court yesterday. Christopher Geidt and Anthony De Normann settled their action against the journalist John Pilger and Central Television on the third day of the hearing. Desmond Browne, QC, for Mr Pilger and Central Television, said his clients had not intended to allege the two men trained the Khmer Rouge to lay mines, but they accepted that was how the program had been understood. Pilger has long criticised aspects of Australian government policy, particularly what he regards as its inherent racism resulting in the poor treatment of the country's indigenous population. In 1969, Pilger went with Australian activist Charlie Perkins on a tour to Jay Creek in Central Australia. He compared what he witnessed in Jay Creek to South African apartheid. He saw the appalling conditions that the Aboriginal people were living under, with children suffering from malnutrition and grieving mothers and grandmothers having had their lighter skinned children and grandchildren removed by the police and welfare agencies. Equally, he learned of aboriginal boys being sent to work on white run farms, and aboriginal girls working as servants in middle-class homes as undeclared slave labour. is just one of the disgraces that has given Australia the distinction of being the only developed country whose government has been condemned as racist by the United Nations Committee on the Elimination of Racial Discrimination." Pilger returned to this subject with Utopia, released in 2013 (see below). Pilger was a founder of the News on Sunday tabloid in 1984, and was hired as Editor-in-Chief in 1986. During the period of hiring staff, Pilger was away for several months filming The Secret Country in Australia. Prior to this, he had given editor Keith Sutton a list of people who he thought might be recruited for the paper, but found on his return to Britain that none of them had been hired. Pilger resigned before the first issue and had come into conflict with those around him. He disagreed with the founders' decision to base the paper in Manchester and then clashed with the governing committees; the paper was intended to be a workers' co-operative. Sutton's appointment as editor was Pilger's suggestion, but he fell out with Sutton over his plan to produce a left wing Sun newspaper. The two men ended up producing their own dummies, but the founders and the various committees backed Sutton. Pilger, appointed with "overall editorial control", resigned at this point, The first issue appeared on 27 April 1987. and The News on Sunday soon closed. In East Timor Pilger clandestinely shot Death of a Nation: The Timor Conspiracy. The film concerned the brutal Indonesian occupation of East Timor, which began in 1975. Death of a Nation contributed to an international outcry which ultimately led to Indonesian withdrawal from East Timor and eventual independence in 2000. When Death of a Nation was screened in Britain it was the highest rating documentary in 15 years and 5,000 telephone calls per minute were made to the programme's action line. When Death of a Nation was screened in Australia in June 1994, Foreign Minister Gareth Evans declared that Pilger "had a track record of distorted sensationalism mixed with sanctimony." In 2001, while Piers Morgan was editor of the Mirror, Pilger returned to his old paper in 2001, after the 9/11 attacks in the United States. His most frequent outlet for many years was the New Statesman, a fortnightly column began in 1991 while Steve Platt was editor of the magazine. This lasted until 2014. My "written journalism is no longer welcome" in the mainstream, he said in January 2018, "probably its last home" was in The Guardian; his last column for the newspaper was in April 2015. The broadcast of Pilger's documentary Palestine Is Still the Issue (2002), whose historical adviser was Ilan Pappé, resulted in complaints by the Israeli embassy, the Board of Deputies of British Jews, and the Conservative Friends of Israel that it was inaccurate and biased. Michael Green, chairman of Carlton Communications, the company that made the film, also objected to it in an interview, but not at the time he had been shown it before transmission, according to Pilger, who rejected the criticism. The ITC raised with Carlton all the significant areas of inaccuracy critics of the programme alleged and the broadcaster answered them by reference to a range of historical texts. The ITC is not a tribunal of fact and is particularly aware of the difficulties of verifying 'historical fact' but the comprehensiveness and authority of Carlton's sources were persuasive, not least because many appeared to be of Israeli origin. The ITC concluded that in Pilger's documentary "adequate opportunity was given to a pro-Israeli government perspective" and that the programme "was not in breach of the ITC Programme Code". Pilger's documentary Stealing a Nation (2004) recounts the experiences of the late 20th-century trials of the people of the Chagos Islands in the Indian Ocean. In the 1960s and 70s, British governments expelled the entire population of the Chagos Archipelago, settling them in Mauritius, with only enough money to live in the slums. It gave access to Diego Garcia, the principal island of this Crown Colony, to the United States (US) for its construction of a major military base for the region. In the 21st century, the US used the base for planes bombing targets in Iraq and Afghanistan in its response to the 9/11 attacks. In a 2000 ruling on the events, the International Court of Justice described the wholesale removal of the indigenous peoples from the Chagos as "a crime against humanity." Pilger strongly criticised Tony Blair for failing to respond in a substantive way to the 2000 High Court ruling that the British expulsion of the island's natives to Mauritius had been illegal. In March 2005, Stealing a Nation received the Royal Television Society Award. The documentary The War on Democracy (2007) was Pilger's first film to be released in the cinema. In "an unremitting assault on American foreign policy since 1945", according to Andrew Billen in The Times, the film explores the role of US interventions, overt and covert, in toppling a series of governments in the region, and placing "a succession of favourably disposed bullies in control of its Latino backyard". It discusses reports of the US role in the overthrow in 1973 of the democratically elected Salvador Allende in Chile, who was replaced by the military dictatorship of General Augusto Pinochet. Pilger interviews several ex-CIA agents who purportedly took part in secret campaigns against democratic governments in South America. It also contains what Peter Bradshaw in The Guardian described as "a dewy-eyed interview with" President Hugo Chávez "of Venezuela, which has moments of almost Hello!-magazine deference". Pilger explores the US Army School of the Americas in the US state of Georgia. Generations of South American military were trained there, with a curriculum including counter-insurgency techniques. Attendees reportedly included members of Pinochet's security services, along with men from Haiti, El Salvador, Argentina and Brazil who have been implicated in human rights abuses. The film also details the attempted overthrow of Venezuela's President Hugo Chávez in 2002. The people of Caracas rose up to force his return to power. It looks at the wider rise of populist governments across South America, led by figures calling for loosening ties with the United States and attempting a more equitable redistribution of the continent's natural wealth. Of "Chávez's decision to bypass the National Assembly for 18 months, and rule by decree", Peter Bradshaw writes "Pilger passes over it very lightly". describe a world not as American presidents like to see it as useful or expendable, they describe the power of courage and humanity among people with next to nothing. They reclaim noble words like democracy, freedom, liberation, justice, and in doing so they are defending the most basic human rights of all of us in a war being waged against all of us. The War on Democracy won the Best Documentary category at the One World Media Awards in 2008. With others, Pilger supported Julian Assange, the founder of WikiLeaks wanted for questioning by Swedish police, by pledging bail in December 2010. Pilger said at the time: "There's no doubt that he is not going to abscond". Pilger featured the Wikileaks editor-in-chief in the documentary The War You Don't See (2010). Pilger described the accusations against Assange in Sweden as a "political stunt" consisting of "concocted charges". Of The War You Don't See itself, John Lloyd in the Financial Times believed it was a "one-sided" documentary which "had no thought of explaining, even hinting, that the wars fought by the US and the UK had a scrap of just cause, nor of examining the nature of what Pilger simply stated were "lies" – especially those that took the two countries to the invasion of Iraq". Pilger's bail money for Assange was lost in June 2012 when a judge ordered it to be forfeited. Assange had sought to escape the jurisdiction of the English courts by entering the Embassy of Ecuador in London. Pilger visited Assange in the embassy and continues to support him. 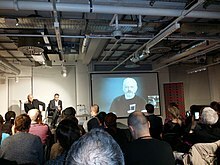 Speaking to an audience in Bali (Indonesia) in October 2012, Pilger asserted that Assange was criticised by journalists because "he shames us", and criticised people who pretended to be allies of Assange, saying "WikiLeaks is a rare truth-teller. Smearing Julian Assange is shameful". With Utopia, Pilger returns to the experiences of indigenous Australians and what he terms "the denigrating of their humanity". A documentary feature film, it takes its title from Utopia, an Aboriginal homeland in the Northern Territory. Since the first of his seven films on the subject of the Aboriginal people, A Secret Country: The First Australians (1985), Pilger says that "in essence, very little" has changed. In an interview with the UK based Australian Times he commented: "the catastrophe imposed on Indigenous Australians is the equivalent of apartheid, and the system has to change." Reviewing the film, Peter Bradshaw writes: "The awful truth is that Indigenous communities are on mineral-rich lands that cause mouths to water in mining corporation boardrooms." "When the subject and subjects are allowed to speak for themselves – when Pilger doesn't stand and preach – the injustices glow like throbbing wounds", wrote Nigel Andrews in the Financial Times, but the documentary maker "goes on too long. 110 minutes is a hefty time in screen politics, especially when we know the makers' message from scene one." According to Geoffrey Macnab, this is an "angry, impassioned documentary" while for Mark Kermode it is a "searing indictment of the ongoing mistreatment" of the first Australians. Pilger's film The Coming War on China premiered in the UK on Thursday 1 December 2016, and was shown on ITV at 10.40 pm on Tuesday 6 December and on the Australian public broadcaster SBS on 16 April 2017. In the documentary, according to Pilger, "the evidence and witnesses warn that nuclear war is no longer a shadow, but a contingency. The greatest build-up of American-led military forces since the Second World War is well under way. They are on the western borders of Russia, and in Asia and the Pacific, confronting China. Like the renewal of post-Soviet Russia, the rise of China as an economic power is declared an 'existential threat' to the divine right of the United States to rule and dominate human affairs". "The first third told, and told well, the unforgivable, unconscionable tale of what has overtaken the Marshall Islanders since 1946, when the US first nuked the test site on Bikini Atoll" beginning an extended series of tests, wrote Euan Ferguson in The Observer. "Over the next 12 years they would unleash a total of 42.2 megatons. The islanders, as forensically proved by Pilger, were effectively guinea pigs for [the] effects of radiation". Ferguson wrote that the rest of the film "was a sane, sober, necessary, deeply troubling bucketful of worries". Peter Bradshaw in The Guardian wrote: "This is a gripping film, which though it comes close to excusing China ... does point out China's insecurities and political cruelties". Although admiring the early sequences on the Marshall Islands, Kevin Maher in The Times was more dismissive. "Abandoning any interest in nuance or subtlety", Pilger claims "that American bases in the region are threatening China with a 'giant noose' around its neck". For Pilger, he writes, China is "a brilliant place with just some 'issues with human rights', but let's not go into that now" and his film's "lack of complexity is depressing". We cannot afford to be choosy. While we abhor and condemn the continuing loss of innocent life in Iraq, we have no choice now but to support the resistance, for if the resistance fails, the "Bush gang" will attack another country." On 25 July 2005, Pilger ascribed blame for the 2005 London bombings that month to Blair. He wrote that Blair's decision to follow Bush helped to generate the rage that Pilger said precipitated the bombings. In his column a year later, Pilger described Blair as a war criminal for supporting Israel's actions during the 2006 Israel–Lebanon conflict. He said that Blair gave permission to Israeli Prime Minister Ariel Sharon in 2001 to initiate what would ultimately become Operation Defensive Shield. In 2014, Pilger wrote that "The truth about the criminal bloodbath in Iraq cannot be "countered" indefinitely. Neither can the truth about our support for the medievalists in Saudi Arabia, the nuclear-armed predators in Israel, the new military fascists in Egypt and the jihadist "liberators" of Syria, whose propaganda is now BBC news." Pilger criticised Barack Obama during his presidential campaign of 2008, saying that he was "a glossy Uncle Tom who would bomb Pakistan" and his theme "was the renewal of America as a dominant, avaricious bully". After Obama was elected and took office in 2009, Pilger wrote, "In his first 100 days, Obama has excused torture, opposed habeas corpus and demanded more secret government". Sunny Hundal wrote in The Guardian during November 2008 that the "Uncle Tom" slur used against Obama "highlights a patronising attitude towards ethnic minorities. Pilger expects all black and brown people to be revolutionary brothers and sisters, and if they veer away from that stereotype, it can only be because they are pawns of a wider conspiracy." Shortly after Pilger won the Sydney Peace Prize in 2009, the Australian commentator Gerard Henderson accused Pilger of "engaging in hyperbole against western democracies." In a February 2016 webchat on the website of The Guardian newspaper, Pilger said "Trump is speaking straight to ordinary Americans". Although his opinions about immigration were "gross", Pilger wrote that they are "no more gross in essence than, say, David Cameron's – he is not planning to invade anywhere, he doesn't hate the Russians or the Chinese, he is not beholden to Israel. People like this lack of cant, and when the so-called liberal media deride him, they like him even more". In March 2016, Pilger commented in a speech delivered at the University of Sydney during the American Presidential Election, that Donald Trump was a less dangerous potential President of the United States than Hillary Clinton. In November 2016, Pilger said that "notorious terrorist jihadist group called ISIL or ISIS is created largely with money from [the government of Saudi and the government of Qatar] who are giving money to the Clinton Foundation." In August 2017, in an article published on his website, Pilger wrote about Trump again. "A coup against the man in the White House is under way. This is not because he is an odious human being, but because he has consistently made clear he does not want war with Russia. This glimpse of sanity, or simple pragmatism, is anathema to the 'national security' managers who guard a system based on war, surveillance, armaments, threats and extreme capitalism". According to Pilger, The Guardian has published "drivel" in covering the claims "that the Russians conspired with Trump". Such assertions, he writes, are "reminiscent of the far-right smearing of John Kennedy as a 'Soviet agent'". On the Poisoning of Sergei and Yulia Skripal in Salisbury, Wiltshire on 4 March 2018, Pilger said in an interview on RT (formerly Russia Today): "This is a carefully constructed drama as part of the propaganda campaign that has been building now for several years in order to justify the actions of NATO, Britain and the United States, towards Russia. That’s a fact". Such events as the Iraq War, "at the very least should make us sceptical of Theresa May’s theatrics in Parliament". According to Pilger, "American bases form a giant noose encircling China with missiles, bombers, warships - all the way from Australia through the Pacific to Asia and beyond. ... There are no Chinese naval ships and no Chinese bases off California". Pilger has criticised many journalists of the mainstream media. During the administration of President Bill Clinton in the US, Pilger attacked the British-American Project as an example of "Atlanticist freemasonry." He asserted in November 1998 that "many members are journalists, the essential foot soldiers in any network devoted to power and propaganda." In 2002, he said that "many journalists now are no more than channelers and echoers of what Orwell called the official truth". In 2003, he was scornful of pro-Iraq War commentators on the liberal left, whom he called 'liberal interventionists', such as David Aaronovitch, a "right-wing provocateur" who wears the mask of being a "liberal". Aaronovitch responded to an article by Pilger about the mainstream media in 2003 as one of his "typical pieces about the corruption of most journalists (ie people like me [Aaronovitch]) versus the bravery of a few (ie people like him)." On another occasion, while speaking to journalism students at the University of Lincoln, Pilger said that mainstream journalism means corporate journalism. As such, he believes it represents vested corporate interests more than those of the public. In September 2014, Pilger wrote critically of The Guardian and other western media, regarding their reporting on Malaysia Airlines Flight 17, writing "Without a single piece of evidence, the US and its Nato allies and their media machines blamed ethnic Russian 'separatists' in Ukraine and implied that Moscow was ultimately responsible". He asserted that "the newspaper has made no serious attempt to examine who shot the aeroplane down and why". Pilger wrote in December 2002, of British broadcasting's requirement for "impartiality" as being "a euphemism for the consensual view of established authority". He wrote that "BBC television news faithfully echoed word for word" government "propaganda designed to soften up the public for Blair's attack on Iraq". In his documentary The War You Don't See (2010), Pilger returned to this theme and accused the BBC of failing to cover the viewpoint of the victims, civilians caught up in the wars in Afghanistan and Iraq. He has additionally pointed to the 48 documentaries on Ireland made for the BBC and ITV between 1959 and the late-1980s which were delayed or altered before transmission, or totally suppressed. Pilger was married to journalist Scarth Flett, with whom he has a son, Sam, born 1973, who is a sports writer. Pilger also has a daughter, Zoe Pilger, born 1984, with journalist Yvonne Roberts. Zoe is an author and art critic. Martha Gellhorn, the American novelist, journalist and war correspondent, said that "[John Pilger] has taken on the great theme of justice and injustice... He documents and proclaims the official lies that we are told and that most people accept or don't bother to think about. [He] belongs to an old and unending worldwide company, the men and women of conscience. Some are as famous as Tom Paine and William Wilberforce, some as unknown as a tiny group calling itself Grandmothers Against The Bomb.... If they win, it is slowly; but they never entirely lose. To my mind, they are the blessed proof of the dignity of man. John has an assured place among them. I'd say he is a charter member for his generation." Noam Chomsky said of Pilger: "John Pilger's work has been a beacon of light in often dark times. The realities he has brought to light have been a revelation, over and over again, and his courage and insight a constant inspiration." According to Harold Pinter, Nobel Laureate and member of the Stop the War Coalition, "John Pilger is fearless. He unearths, with steely attention to facts, the filthy truth, and tells it as it is... I salute him." John Simpson, the BBC's world affairs editor, has said, "A country that does not have a John Pilger in its journalism is a very feeble place indeed." The Anglo-American writer Christopher Hitchens said of Pilger: "I remember thinking that his work from Vietnam was very good at the time. I dare say if I went back and read it again I'd probably still admire quite a lot of it. But there is a word that gets overused and can be misused – namely, anti-American – and it has to be used about him. So that for me sort of spoils it... even when I'm inclined to agree." The Economist's Lexington columnist criticised on Pilger's account of the Arab uprising, writing that he "thinks the Arab revolts show that the West in general and the United States in particular are 'fascist,'" adding, "what most of the Arab protesters say they want are the very freedoms that they know full well, even if Pilger doesn't, to be available in the West." In Breaking the Silence: The Films of John Pilger, his appraisal of the journalist's documentaries, Anthony Hayward wrote, "For half a century, he has been an ever stronger voice for those without a voice and a thorn in the side of authority, the Establishment. His work, particularly his documentary films, has also made him rare in being a journalist who is universally known, a champion of those for whom he fights and the scourge of politicians and others whose actions he exposes." The New York magazine columnist Jonathan Chait responded to Pilger's 13 May 2014 column in The Guardian about Ukraine. In the view of Chait, Pilger "defend[s] Vladimir Putin on the grounds that he stands opposed to the United States, which is the font of all evil" as a comical "attempt to cast land-grabbing, ultranationalist dictator Vladimir Putin as an enemy of fascism." Radio Free Europe claims that Pilger's column contained a bogus quote regarding the Odessa tragedy of May 2014. ^ Buckmaster, Luke (12 November 2013). "John Pilger's Utopia: an Australian film for British eyes first". the Guardian. Retrieved 18 May 2018. ^ "BFI Screenonline: Pilger, John (1939–) Biography". Screenonline.org.uk. ^ Maslin, Janet. "Film: Two Perceptions of the Khmer Rouge". The New York Times. Retrieved 18 May 2018. ^ "Press Awards Winners 1970-1979, Society of Editors". Web.archive.org. ^ "John Pilger". IMDb. Retrieved 18 May 2018. ^ a b Pilger, John (17 February 2017). "Graham Pilger, champion for the rights of the disabled". Sydney Morning Herald. Retrieved 21 February 2017. ^ Pilger, John (8 May 2013). "Hold the front page! We need free media not an Order of Mates". New Statesman. Retrieved 22 April 2017. ^ Hayward, Anthony (18 April 2016). "David Swift obituary". The Guardian. Retrieved 18 April 2016. ^ "Pilger (TV Series 1974– )". IMDb.com. Retrieved 26 May 2018. ^ Year Zero: the Silent Death of Cambodia, video of programme on John Pilger's website. ^ West, Richard (28 September 1984). "Who was to blame?". The Spectator. pp. 29–30, 29. Retrieved 26 August 2016. "Holocaust" is rendered in lower case in Richard West's article. ^ Sawer, Patrick (8 May 2013). "Buckingham Palace defends Queen's private secretary against 'conflict of interest' claims". The Daily Telegraph. Retrieved 26 December 2016. ^ "BAFTA Awards Search | BAFTA Awards". awards.bafta.org. Retrieved 18 May 2018. ^ Pilger, John (19 December 2013). "John Pilger goes back to his homeland to investigate Australia's dirtiest secret". The Daily Mirror. Retrieved 31 December 2018. ^ "Documentary evidence - News - Film - Time Out London". Web.archive.org. 5 April 2008. Retrieved 20 May 2018. ^ Pilger, John; Platt, Steve (July 2010). "Beyond the dross". Red Pepper. ^ a b Walker, James (26 January 2018). "John Pilger says Guardian column was axed in 'purge' of journalists 'saying what the paper no longer says'". Press Gazette. Retrieved 26 January 2018. ^ a b Bradshaw, Peter (15 June 2007). "The War on Democracy". The Guardian. Retrieved 28 December 2016. ^ "One World Media :: Awards 2008". Web.archive.org. 9 June 2009. Retrieved 26 May 2018. ^ Lloyd, John (17 December 2010). "Polemic in the hands of a master propagandist". Financial Times. Retrieved 22 April 2017. ^ Pilger, John (14 February 2013). "WikiLeaks is a rare truth-teller. Smearing Julian Assange is shameful". The New Statesman. ^ "Screenings - The Coming War On China". The Coming War On China. Retrieved 20 May 2018. ^ "The Coming War on China Episode 1". Itv.com. ^ Pilger, John (December 2016). "The coming war on China". New Internationalist. Retrieved 26 December 2016. ^ a b Ferguson, Euan (11 December 2016). "The week in TV: In Plain Sight; This Is Us; The Coming War on China". The Observer. Retrieved 26 December 2016. ^ Bradshaw, Peter (1 December 2016). "The Coming War on China review – discomfiting doc exposes US nuclear tactics". The Guardian. Retrieved 26 December 2016. ^ "ITV - John Pilger - The real threat we face in Britain is Blair". Web.archive.org. 1 November 2006. Retrieved 20 May 2018. ^ "The truth about the criminal bloodbath in Iraq can't be 'countered' indefinitely". The Guardian. 7 February 2014. ^ "ITV - John Pilger - The danse macabre of US-style democracy". 31 January 2008. Retrieved 20 May 2018. ^ "ITV - John Pilger - Obama's 100 days - the man men did well". Web.archive.org. 3 May 2009. Retrieved 20 May 2018. ^ Hundal, Sunny (30 November 2008). "The racist flipside of anti-imperialism". The Guardian. Retrieved 13 October 2015. ^ a b "2009 John Pilger". Sydney Peace Foundation. Retrieved 12 January 2013. ^ Henderson, Gerard (10 November 2009). "Pilger loath to hear roar of dissent". The Sydney Morning Herald. Retrieved 9 April 2016. ^ "John Pilger Praises Trump, Says He Has an 'Absence of Hypocrisy'". Political Scrapbook. 24 February 2016. Retrieved 28 October 2016. ^ Intondi, Vincent (25 March 2016). "No, Hillary Clinton Is Not Worse Than Donald Trump". The Huffington post. Retrieved 28 October 2016. ^ "Julian Assange interview: WikiLeaks editor talks to John Pilger about US election and the leaked Hillary Clinton, John Podesta emails". Belfast Telegraph. 7 November 2016. ^ Pilger, John (4 August 2017). "On the Beach 2017. The Reckoning of Nuclear War". John Pilger. Retrieved 5 August 2017. ^ Mayhew, Freddy (20 March 2018). "Journalist John Pilger says ex-Russian spy poisoning case is a 'carefully constructed drama in which the media plays a role'". Press Gazette. Retrieved 20 March 2018. ^ "John Pilger Q&A: 'US missiles are pointed at China'". Al-Jazeera. 6 December 2017. ^ Pilger, John (13 November 1998). "Having a fun time in New Orleans: the latest recruits (sorry, "alumni") of latter-day Reaganism". New Statesman. ^ "John Pilger explains "why journalism matters" | The Linc". Thelinc.co.uk. Retrieved 14 January 2010. ^ Pilger, John (11 September 2014). "Breaking the last taboo – Gaza and the threat of world war". John Pilger.com. Retrieved 20 April 2018. ^ a b Pilger, John (5 December 2002). "John Pilger prefers the web to TV news – it's more honest online". New Statesman. Retrieved 20 April 2018. ^ Williams, Jon (10 December 2010). "The Wars You Don't See". BBC News. Retrieved 20 April 2018. ^ "John Pilger Biography". Johnpilger.com. Retrieved 2 November 2016. ^ "John Pilger: writer of wrongs". The Scotsman. 1 July 2006. Retrieved 2 November 2016. ^ "Zoe Pilger Homepage". Zoe-pilger. Retrieved 2 November 2016. ^ a b "Press Awards Winners 1970-1979, Society of Editors". Web.archive.org. Retrieved 22 May 2018. ^ a b c d "Press Awards Winners 1970-1979, Society of Editors". Web.archive.org. Retrieved 22 May 2018. ^ "Richard Dimbleby Award in 1991". Awards.bafta.org. ^ "International Emmy Awards". Iemmys.tv. ^ "The Grierson Awards 2011: Winners; Honda – The Trustees' Award: John Pilger". The Grierson Trust. 2011. Retrieved 4 November 2016. ^ JohnPilger.com: The universal lesson of the courage of East Timor. 8 May 2017. Retrieved 9 May 2017. ^ "Insight with John Simpson – The World According to Simpson – Brightcove". Brightcove.tv. 3 May 2008. Archived from the original on 3 May 2008. ^ "Books". Profiles International Media. Retrieved 2 November 2016. 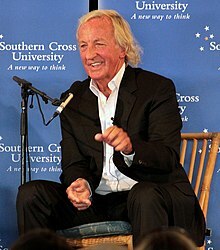 Wikimedia Commons has media related to John Pilger.